Forums are a great way to add user generated content to your WordPress site. Whether they’re filled with light-hearted banter or users asking support questions, forums allow your readers to interact with you and others in a two-way dialogue. And here’s the best part: they’re surprisingly easy to add to your site with a WordPress forum plugin. In this post, I’ll take you through all of the best WordPress forum plugins. Then, because you might have a specific goal for your forum, I’ll give you scenarios where one plugin is better than another. In general, forums are great for creating unique content and getting readers engaged in your site. They get people talking and, most importantly, get people to come back to your site to read the latest forum posts. They also provide an opportunity to rank your website in Google for keywords you would’ve never thought of by yourself. Product Questions – If you’ve ever shopped on Amazon, you might’ve seen their product question and answer section. These forums are a great way to let potential customers ask questions about products before they buy. Support – If you’re not quite ready to splurge on a dedicated call center, forums are a great way to offer support to your customers. Not only do you answer an individual customer’s question, you also create a public record of that answer that other readers can find. Social Networking – Forums can add some social aspects to your site by offering profiles and activity streams. Course Discussion – If you’re running any kind of learning course or membership site, forums provide a great way for your users to discuss the material amongst themselves. Because it’s developed by Automattic (the same folks behind WordPress), bbPress is one of the simplest, best integrated ways to add a forum to WordPress. In fact, it’s the exact same solution used to create the support forums on wordpress.org. It’s lightweight and tucks itself conveniently inside your WordPress admin. You can easily manage forums, topics, and posts directly from your dashboard. On the front-end, you can choose whether or not to require users to register before posting. You can also make certain forums private and restrict access to only specific users. If you want an easy to use and versatile forum solution, bbPress is a great first stop. There are other plugins which are better for specific types of forums, but if you just want to quickly add a general discussion forum to WordPress, give bbPress a look. Best of all, bbPress is a free plugin. True to its name, DW Question & Answer helps you create a question and answer forum. If you’re familiar with StackOverflow, it’s essentially a clone of that style of forum. Users can create topics to ask questions, then you or other members can respond. Users can also vote for specific topics or replies. Topics with more votes will get more exposure. Users can add categories or tags to topics to help others find them more easily and you can mark topics as “Open” or “Answered” to let users know whether the question has been resolved. Because of its design, DW Question & Answer is an excellent option for creating a support forum (either for your products or a general topic). But if you’re just looking to create a regular discussion forum, this plugin is not for you. DW Question & Answer is a free plugin with a premium version that offers more functionality. If you want to add a forum with more of a social networking flair, you’ll want to check out BuddyPress. Why’s that? Because BuddyPress turns WordPress into a social network, including forums. It can also integrate nicely with bbPress because it’s similarly developed by the same group behind WordPress. BuddyPress allows registered members to create their own discussion groups and profiles. 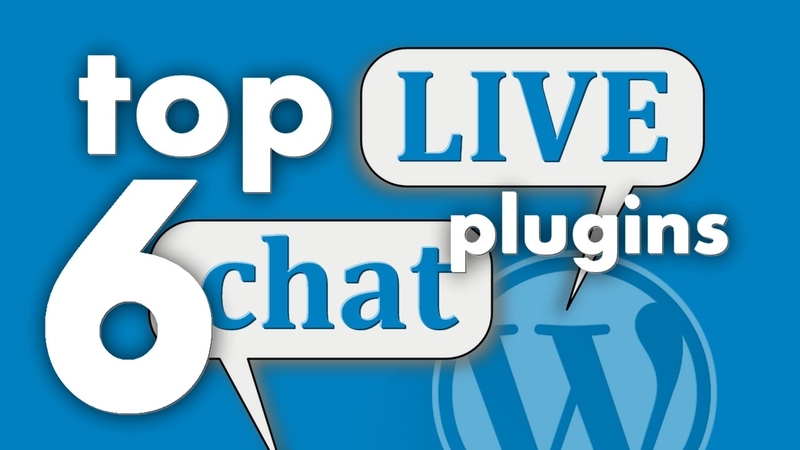 Because of this, it’s a much more open forum system than the other plugins on this list. If you want to also create a static discussion forum, you can integrate bbPress while still taking advantage of the advanced social profiles that BuddyPress offers. If you want to really amp up the social aspects of a forum, then BuddyPress, either by itself or in conjunction with bbPress, is the solution for you. BuddyPress is a free plugin. 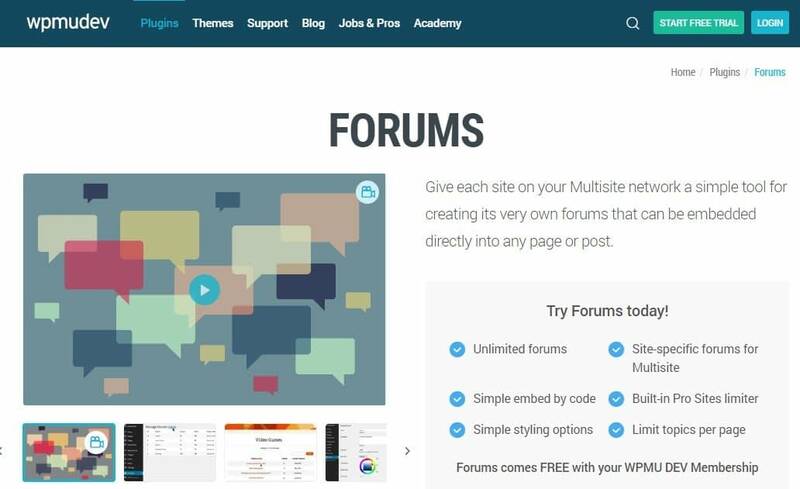 If you’re running a WordPress Multisite network, Forums is a great way to allow individual users to add a forum to their site. With the plugin, every site owner on your network will be able to add their own forum to their posts or pages. According to the developer, it’s “like having a bbPress install for every site”. Site owners can customize their own styling and basic forum details, as well. If you’re just running a single WordPress install, you don’t need Forums. But WordPress Multisite users should definitely check this plugin out. Forums is included with the paid WPMU DEV membership. Asgaros Forum is another lightweight WordPress forum plugin for adding a general discussion forum to your site. It’s also 100% free. All you need to do is configure some basic settings, copy the shortcode, and add it to the page where you want your forum to display. You can customize your forum’s style, as well as more advanced features like whether or not to allow file uploads. The design is minimalist with a style reminiscent of old-school message boards. Asgaros Forum is also multilingual and compatible with WordPress Multisite. wpForo is a relatively new WordPress forum plugin. Though it only launched in June 2016, this free plugin is growing in popularity thanks to regular updates and a supportive developer. It comes with multiple layouts so that you can create both standard discussion boards and question & answer style boards. You can then style your forum with different colors and functionality. wpForo is also mobile responsive and includes settings to let you set up an SEO-friendly URL structure. As for managing your discussion board, the plugin includes various moderation user roles to make that easy. wpForo may be new, but with a lengthy and ever-growing list of features, it’s a great option. They even include a tool to help you migrate from another WordPress forum plugin if necessary. Which WordPress forum plugin should you pick? If you want to create a support forum, you should go with DesignWall Question & Answer. On the other hand, if you want a forum with social profiles and networking aspects, you should go with BuddyPress. For the best WordPress Multisite functionality, you should probably go with a dedicated solution like Forums. And finally, if you just want a general discussion board, you won’t go wrong with bbPress. Asgaros Forum and wpForo are both newer options with promising features, but I like the stability of bbPress because it’s built and maintained by the same company maintaining WordPress.